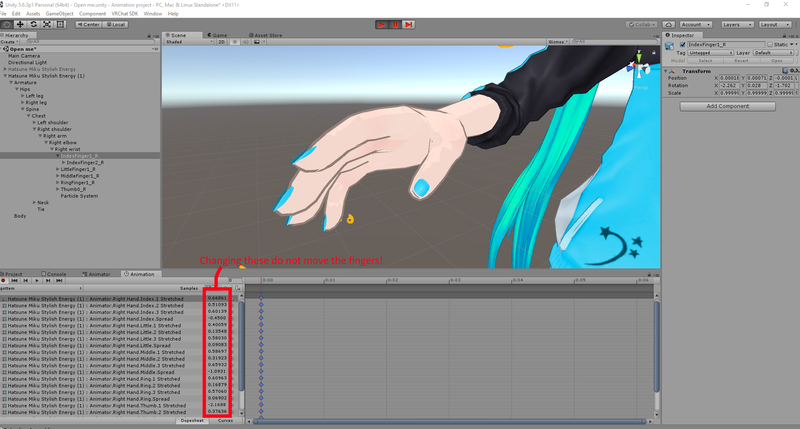 I am making a custom animation for some finger bones on a humanoid model, but changing the values inside the timeline window does not visually move the fingers in the scene view. How can I preview the changes I'm making directly in the scene? Browse other questions tagged unity animation transformation or ask your own question. Animation package from Assert Store not working probably with Unity Model/Custom Model? How to animate a character with props in Blender and then have these props modifiable in Unity3D?